Roasted Pork - Polashek's Locker Service Inc.
Roasted pork is available in dishes (see image below) at our retail counter. 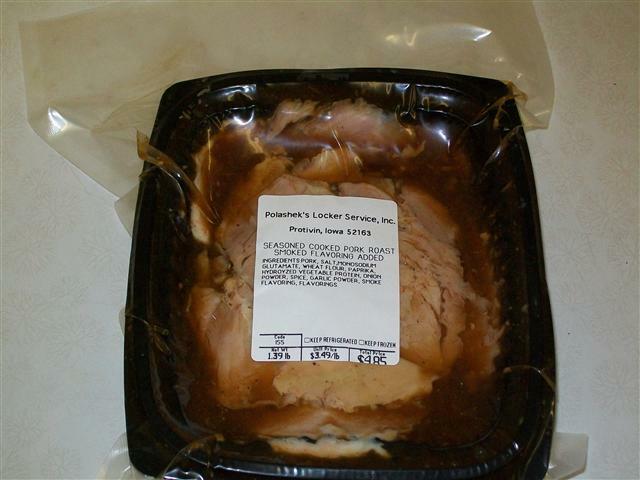 Our pre-cooked roasted pork is packaged in microwavable dishes for your convenience. Also, roasted pork is available for weddings, graduation parties, etc. Please call us for details.